Will My Smartphone ever have Consciousness? In a 2014 article in the Scientific American Mind, Christof Koch, a well-known US neuroscientist and chief scientific officer at the Allen Institute for Brain Science in Seattle, addresses this question. And he is optimistic that the answer is yes. The mystery of the human mind has been a key topic for many philosophers, from Plato to Descartes, from Hegel, Kant and Wittgenstein to Searle, Dennett and Chalmers, where it appears rephrased as the problem of the place of consciousness in the physical world. From the point of view of religious studies, a related but even more speculative question is whether the human mind, our soul, may survive our bodily death. With modern neuroscience new theories and toolkits keep emerging with which brains, their structure and their function, are explored. Analytical sensors scan and analyze the brain’s operation, EEG and MEG devices measure its electromagnetic field, fMRI techniques detect brain activation by changes of blood-oxygen-level dependent contrast imaging – a method based on nuclear magnetic resonance spectroscopy developed at ETH Zurich back in the 1960s. The human brain with its 90 billion neurons and 100 trillion synapses connecting the neurons belongs to the deepest questions of mankind for scientific research. Huge publically sponsored efforts with about 100’000 researchers worldwide are set up to achieve insight into and treatments of health issues such as Alzheimer’s disease, Parkinson’s disease, depression, and other mental impairments. From a neuroscience perspective it seems commonly accepted that our cognitive and affective faculties are located in the brain. Results of affective neuroscience by Damasio, Panksepp, Solms and others, tell us that fear, anger, joy, and other emotions are more or less localized brain functions. But how reliable is this insight, in particular concerning the issue of localization? How did emotions and their neural correlates evolve? We clearly have little knowledge to answer these questions. Parallel to medical research about brain and mental diseases, the field of computational neuroscience tries to develop models of the brain to simulate its activity, from small populations of neurons to neural networks as large as the brain altogether. The enormous cognitive capacity of the human brain, operating on approximately 20 watts of power – equivalent to about 20% of the energy produced by the human body – is a tempting model for the design of machines with artificial intelligence. A major advancement in artificial intelligence is the development and implementation of machine-learning algorithms to solve specific problems, from data mining to deep learning. Computational technologies such as apps and sensing devices typically use smartphones as gateways to global www information storage (termed ‘the cloud’), providing access to massive databases. Today a smartphone can be used as a fitness monitor, it can recognize if you are under stress based on voice or skin analysis. Carrying this further, it seems possible that smartphones and their sensory inputs are extensions of our mind, even with suitable voice-assistants like Apple’s Siri. For example your smartphone might express sadness if it detects your problems at work by high blood pressure, lack of sleep, or early symptoms of depression. It will express empathy and suggest proper measures for you to improve your health and your sentiments. The movie ‘Her’, a 2013 American romantic science-fiction drama by Spike Jonze, features a man falling in love with an operating system. The 1995 novel ‘Galatea 2.2’ by Richard Powers is based on the converse idea of an operating system falling in love with its operator. These instances might spur our imagination what it might mean to own a ‘smartphone companion’ or other interfaces, which are in close contact with our mind. At this point, it becomes a really deep philosophical issue. Is that just a very clever simulation that’s good enough to trick you, or is it really conscious in the way that we assume other people are? In my view there’s no real way to test that scientifically. There’s no machine you can slide the entity into where a green light goes on and says okay, this entity’s conscious, but no, this one’s not. You could make a machine, but it will have philosophical assumptions built into it. Some philosophers will say that unless it’s squirting impulses through biological neurotransmitters, it’s not conscious, or that unless it’s a biological human with a biological mother and father it’s not conscious. But it becomes a matter of philosophical debate. It’s not scientifically resolvable. 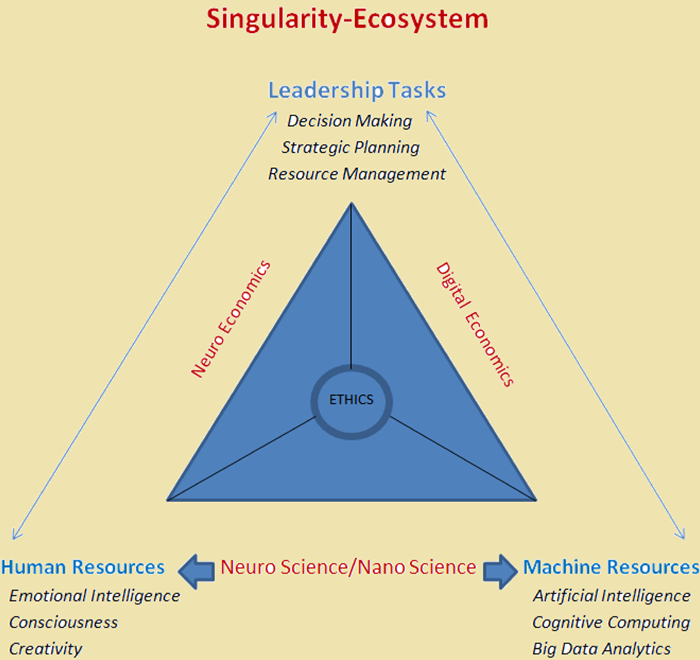 Ray Kurzweil is one of the strongest proponents of Singularity implying that Artificial Intelligence will be equivalent to Human Intelligence at some not too distant time in the future. Artificial Intelligence and Consciousness emerge from different viewpoints and different research efforts. Yet one day these viewpoints might merge. In a paper published by Aeon Magazine in July 2015, Michael Graziano, Professor of Neuroscience at Princeton University argues that we could build an artificial brain that knows what consciousness is, believes that it has it, attributes it to others, and can engage in complex social interaction with people. There are critics to this theory. The philosopher Daniel Dennett, Professor at Tuft University for example argues that consciousness as we think of it is an illusion. Following this line of thinking will help us to open up our mind plotting a positive future in a rapidly changing environment. 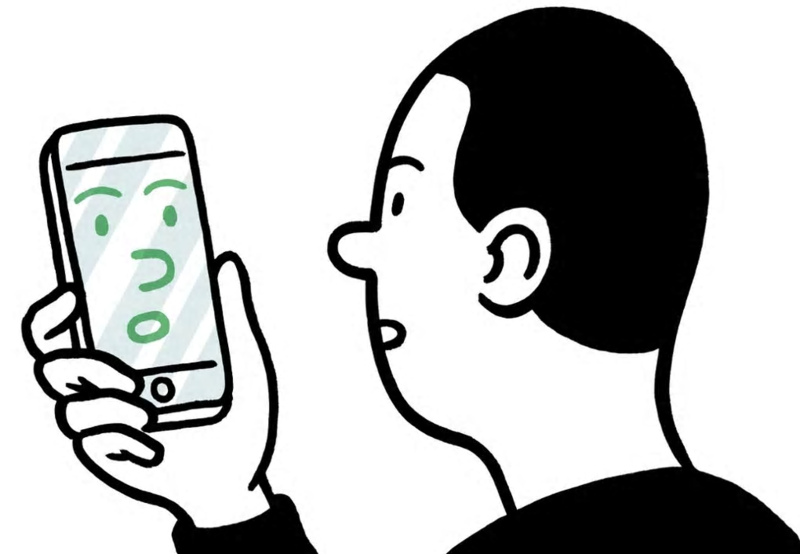 If a smartphone could eventually become a mental companion is up to us, we decide.